Want to get paid more? 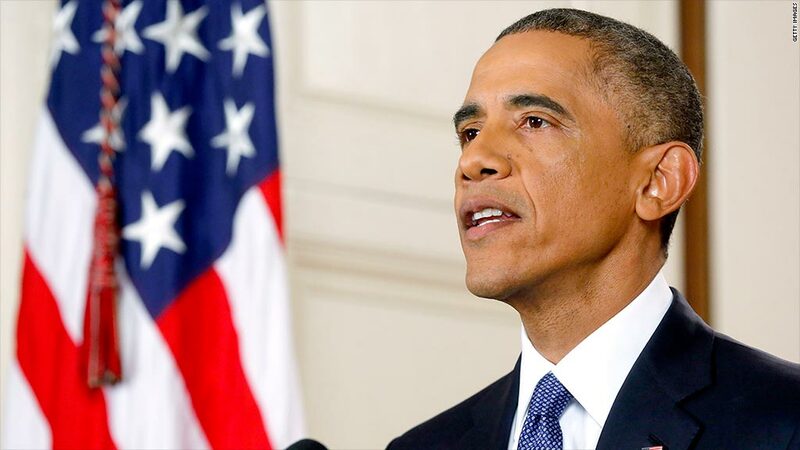 The White House claims President Obama's immigration plan will raise wages for immigrants and American-born alike. But the amount seems less than eye-popping ... $170 a year by 2024. Wages are a very sensitive topic in the U.S. these days. That's because Americans haven't had a real raise in years. Average hourly earnings aren't keeping up with inflation, and U.S. median income has fallen back to 1995 levels. The administration is touting the economic benefits of the president's controversial executive action that would legally permit up to 5 million undocumented immigrants to stay in the United States temporarily. The move will increase productivity, expand the workforce and reduce the deficit, the White House's economic advisers say. And it will have no impact on employment of U.S. citizens and legal immigrants. Economic experts on both sides of the political spectrum generally shrugged, agreeing that the action will not hurt Americans workers and may help certain folks a little bit. "The larger point is that it's not negative. This is not harmful to native-born workers," said Elise Gould, senior economist at the Economic Policy Institute, a liberal group. When it comes to wages, the move will boost annual earnings mainly because it will make it easier for high-skilled immigrants to work in the U.S. They will start companies and innovate, raising wages for all skilled workers, said Stan Veuger, resident scholar at the American Enterprise Institute, a conservative-leaning group. As a result, American-born college grads will increase by about $300 a year by 2024, according to the White House. Those with a high school degree will get a roughly $110 boost. Combined, it will raise wages by $130 (because there are fewer college grads). On the flip side, allowing low-skilled workers to remain in the country will translate into a $40 average wage gain for native-born workers, the administration says. Undocumented immigrants, however, would see an even bigger benefit. Their earnings would likely rise by about 8.5% since they could work legally and find jobs that match their skills, according to the left-leaning Center for American Progress.